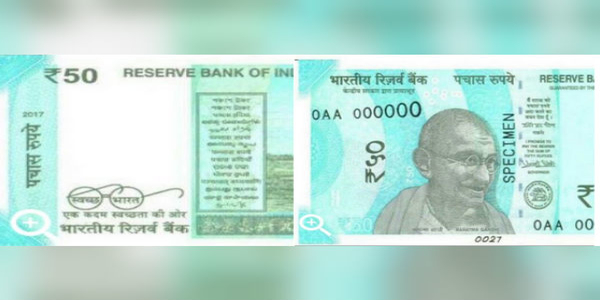 The Reserve Bank of India on Friday introduced new ₹ 50 denomination banknotes. This is the third currency note that has been introduced Post-Demonetisation, after ₹2,000 and ₹500. The new ₹ 50 currency notes will be of dimension 66 mm x 135 mm and will bear motif of Hampi with chariot and will carry the signature of Urjit R. Patel, Governor, Reserve Bank of India. The base colour of the note is Fluorescent Blue. All the banknotes in the denomination of ₹ 50/- issued by the Reserve Bank in the earlier series will continue to be legal tender, the apex bank said in a media release.